Speaking of rain . . .
On August 27, 1883 the volcanic island Krakatoa erupted on the other side of the world in Indonesia, killing some 35,000 people. The enormous amount of volcanic ash and debris blown into the atomosphere affected weather patterns across the world. Southern California was not spared. In the winter of 1883 & 1884 over 40 inches of rain fell in the Temecula area. So much rain fell that stories were told of parts of the track washing out into the Pacific Ocean. Also at many points the tracks were only 10 feet above the bottom of the canyon where the river was. 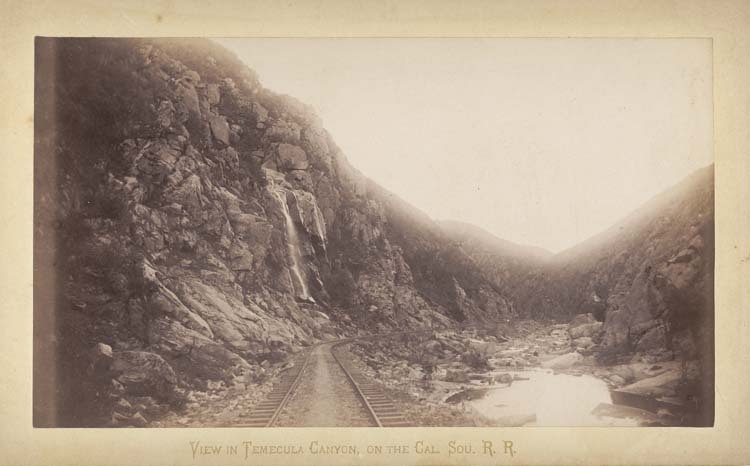 As a result the new California Southern Railroad line that ran the 14 miles through Temecula Canyon was washed away. 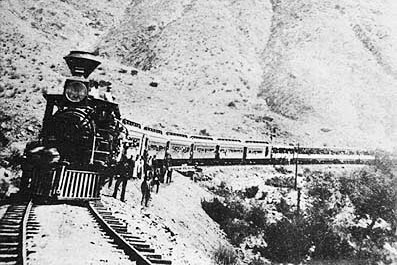 The tracks were rebuilt through the canyon and the railroad was back in service by January 1885. Six years later heavy rains once again flooded the canyon washing away the track. This time the decision was made not to rebuild in Temecula Canyon. By this time another line was built along the coast connecting San Diego with Los Angeles. With this decision the line going to Colton stopped and started in Temecula. The Temecula depot and line remained in place until 1935 when it was abandoned for the Lake Elsinore depot. on January 18, 2010 at 5:35 pm Comments Off on Speaking of rain . . .